In the world of firearms, choke tubes are a constriction that tapers the bore of a shotgun, placed at the end, or muzzle, of the weapon. These choke tubes are used largely to modify or improve the performance of the weapon, usually for sports shooting or modern hunting purposes. The device acts to spread the shotgun pellets after you fire for better accuracy and range. The invention of choke tubes dates back to 1866 when Sylvester H. Roper, an American gunsmith, received a patent. But the invention also has previous versions dating back to 1827. Shotgun owners use choke tubes to alter the shot pattern of their guns by controlling the pattern diameters at different yards. A pattern is the grouping of the pellets discharged from the shotgun at different distances measured by yards. You measure this pattern grouping by the diameter of the pellets in a circle. The goal of using a choke tube is to improve efficiency. In order to be efficient, the pellets must be a certain number within a given area. The layout of the pellets in the pattern is called distribution. The construction of a shotgun begins with a long pipe, or shotgun barrel that you fire loaded shells through. This pipe has a smooth bore — the pipe has no rifling or grooves along the interior of the barrel. The choke area is at the muzzle end of the gun, and choke tubes restrict the pellets as they leave the shotgun. That makes the diameter of the pattern of pellets smaller as they travel away from the gun. Doing so creates improvements in accuracy, allowing the pellets to travel in a tighter formation for greater distances. There are many different models of choke tubes available. Each lives inside different types of guns and offer a varying range of performance characteristics. With so many choices, it can difficult to understand what you would need for your particular shotgun. However, remember the goal of using a choke tube is to create great accuracy and range. That makes the gun more efficient, allowing you to hit your target with more efficiency. In sports shooting, your target would be clay targets or clay pigeons, and if you are hunting it would be prey. 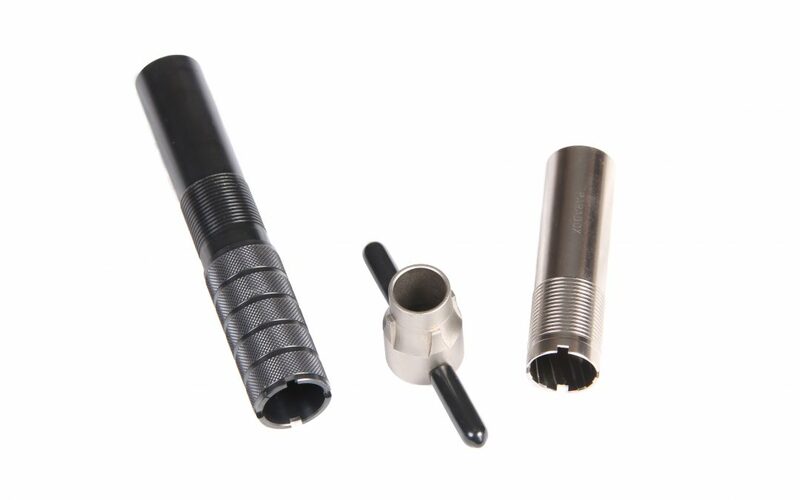 The better the choke tube is for your application, the more success you will have. With this in mind, let’s take a closer look at several of the main choke tubes available on the market today, and see what features and benefits they provide. There is a wide selection of Carlson choke tubes, so be sure to read all of the features over carefully, as they vary widely by model. You can purchase some through various sites, including WalMart, for between $50 and $60, depending on which ones you need. Muller chokes are a bit pricier than the Carlson’s. You can buy them for $100 to $175, depending on the retailer. 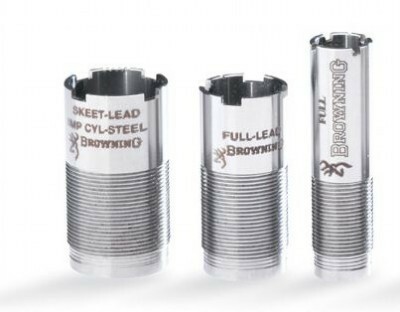 If you are an avid or even an amateur hunter or clay shooter, you will want to learn about different choke tubes. That is the only way you can determine what you and your shotgun require for your specific needs. Every choke tube presents different features and benefits, so immersion in the subject as part of your training for using firearms is key. The knowledge also plays a role during sports shooting or hunting. Study before you make any purchases. Picking a quality choke tube will significantly improve your overall shooting performance.